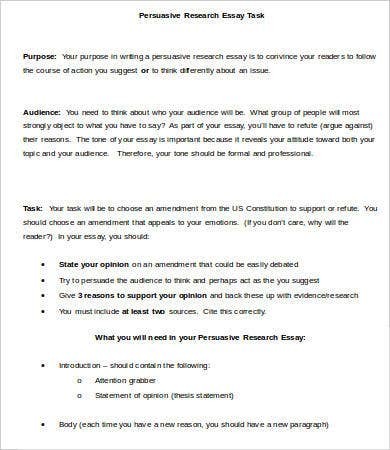 A persuasive essay is intended to convince the reader to do or believe something. It is also known as argumentative essay. It usually uses logic and reason to show that one idea of a particular topic is more valid and sound than the other. It aims to persuade the reader to credit a point of view. 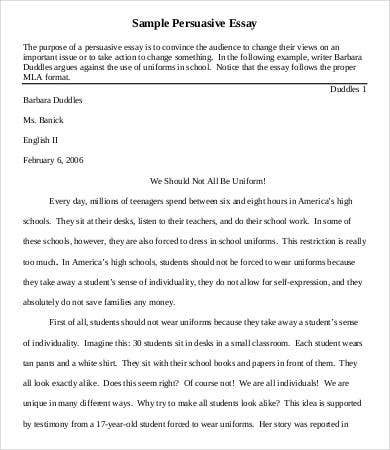 These types of essays do contain legitimate facts and evidence to back up their claims. 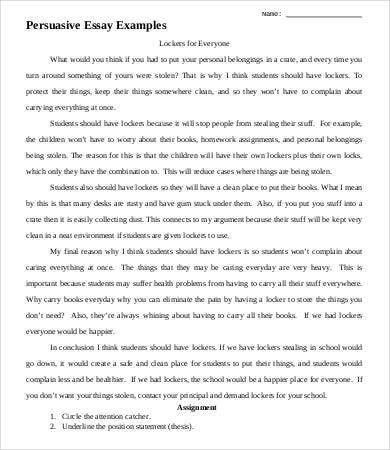 This type of essay is fun to do since it doesn’t stop you from being aggressive in persuading your side of the topic, and there are a lot of ways that you can do this by listing down your argumentative facts, comparing and providing examples from resources. 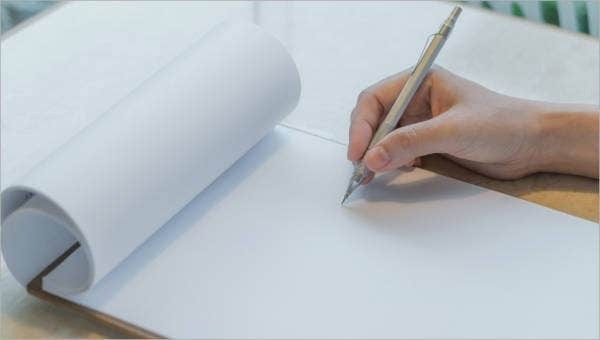 Although there is an organized way on composing your own essay, it can be hard to do. 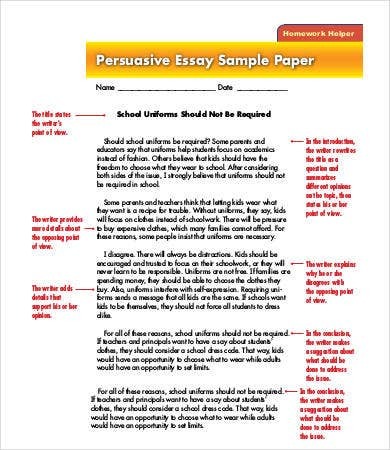 Which is why we here provide you with some persuasive essay samples that can help you with your own. Get some ideas and inspiration and start persuading people. 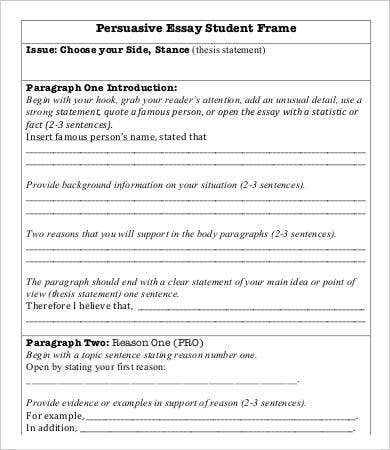 To get even better grasp on how to compose your own essay, try out our Essay Outline Template for a simple way to learn to write your essay. 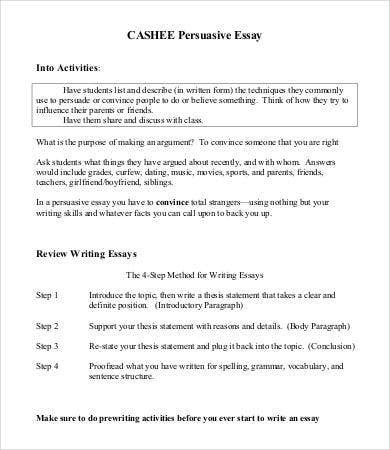 In formulating your persuasive essay, we have provided for you also some helpful tips. Introduction. The first part that is used to present the topic, used with convincing words that could spark the reader’s attention. Body. This is the bulk of the essay—it contains all of the important facts and claims of the writer. Before writing down the facts and examples that you are going to tackle, you should be well informed, first and foremost, about your topic. Researching can add up to facts that you can learn about your topic. Upon formulating your argument, make sure you test out our hypothesis. There should be two sides in the topic and both should be debatable. Having found the side that you are standing for, you need to make sure you understand the point of view of the opposite side. 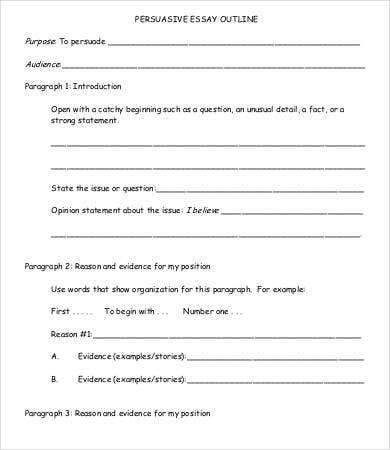 This way, you will be able to cite facts and examples about it and find arguments that you can use against it. After all these, support on your reasoning must be on hand as well. Also check out our Scholarship Essay to learn how to formulate one. 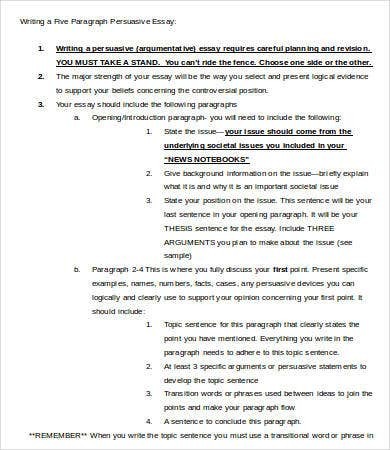 Know the purpose of the essay. It should always make sense as to why you are writing about a certain topic. Choose your stand. Decide on which side of the topic you are writing about and conduct extensive research on it. Know your audience. Tug at your audience’s heartstrings and see whether or not they agree with you. Extensive research. When you have chosen your stand, you must cover all your bases and understand the issue like the back of your hand. 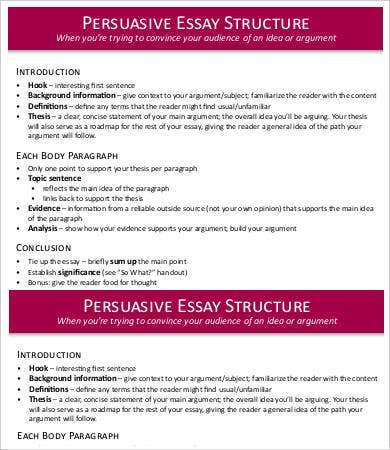 Structure your essay. Figure out the facts and examples that you should include. Our samples are free of charge to use and consist of accurate facts that could be helpful in making your own. 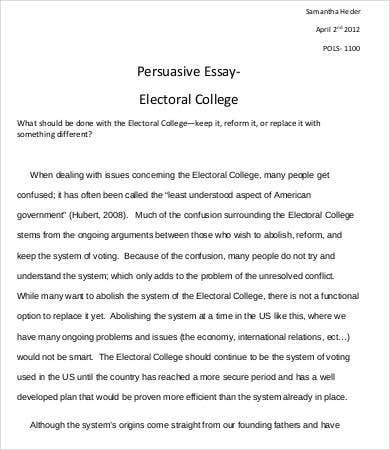 Now we have showed you some samples and some tips, try them out now and start writing your own persuasive essay or Argumentative Essay today!